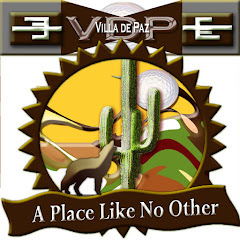 Villa de Paz is a private community in Phoenix, Arizona. We are a Master Planned community held within a 1-mile square on the west side of the metropolitan area. We area close to the 101 and I-10 freeways. As well, we are near the Cardinal's Stadium and other entertainment amenities. So welcome to our little online hub.We hoped to soon have this community bustling with news and information and community. Thank you for visiting us and we hope you will again.